Do you have an older dog, injured dog, or several dogs and want to get them to the park? Take them on errands? 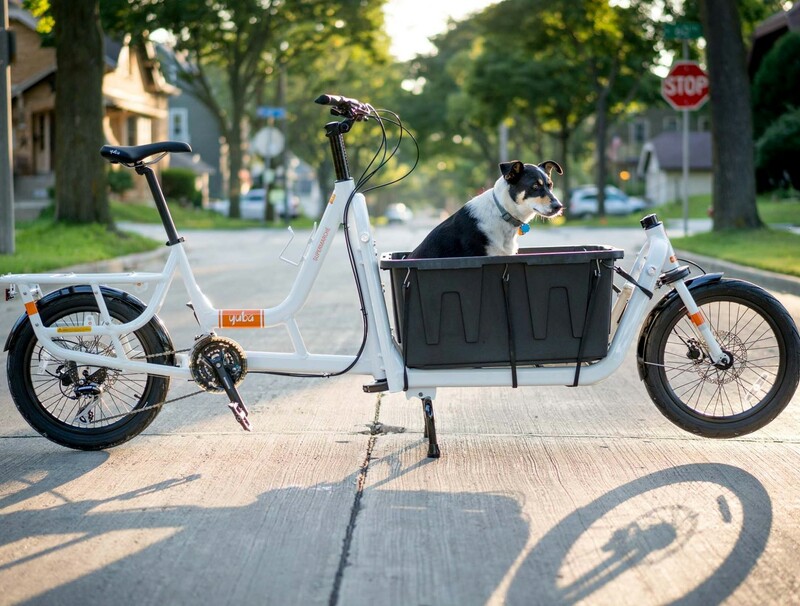 Consider a cargo bike instead of your car! So much better than sticking their head out a window. Cargo bikes like the Supermarché are perfect for older or injured dogs who need low clearance. There are accessories available to get your smaller furry friends around too. Just this week, Nancy the Newfoundland stopped by the shop with her human, Alisha, who runs the Empawthy dog training program here in SF. They tried out the Supermarché and loved it. Nancy was ready for Alisha to take her on a ride. 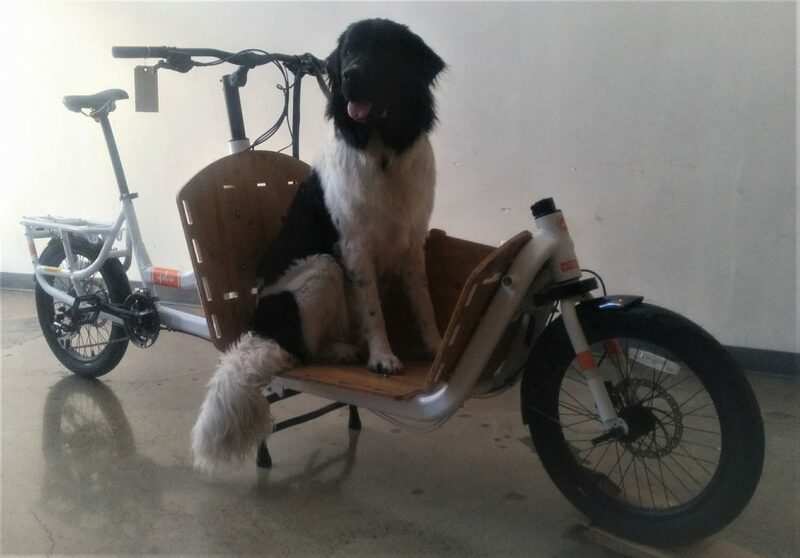 Check out the Supermarché with your furry (or human) friends and see what makes this cargo bike perfect for anyone who could use a lift.